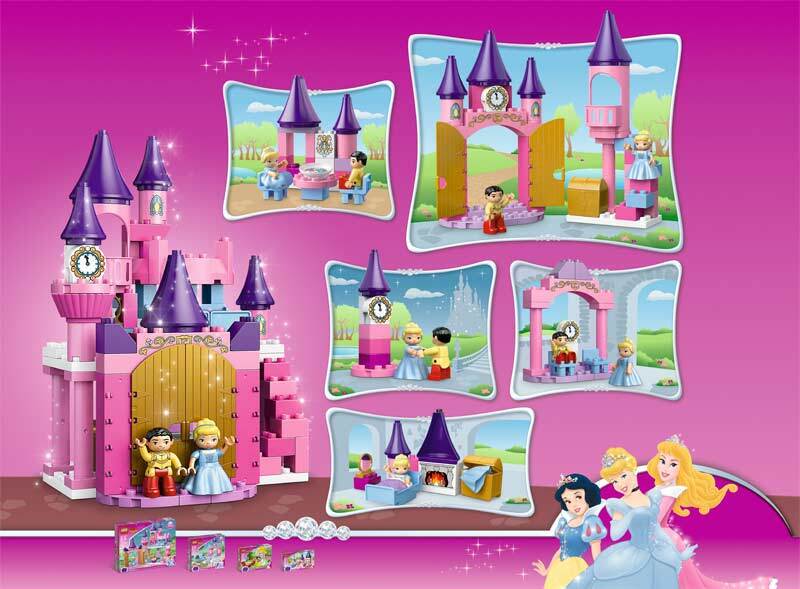 Castle features two levels for Prince Charming and Cinderella to eat, sleep, and play. Includes more than 70 pieces for kids to express their creativity. 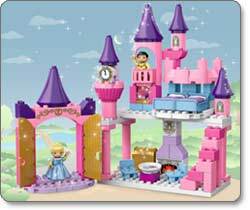 With more than 70 Lego-Duplo blocks, Disney Princess Cinderella's Castle will keep young children entertained for hours. Not only does the castle require concentration to construct, it also provides plenty of opportunities for play after the castle is set up. Comes with fun furniture pieces for playing house. 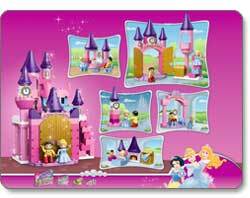 The included instructions are easy to follow, showing with pictures how to put each section of the castle together. And, since Duplo blocks have larger connections than standard Lego pieces, they are easier for small hands to fit together. Be careful when opening the box, as many of the pieces are loose inside it. 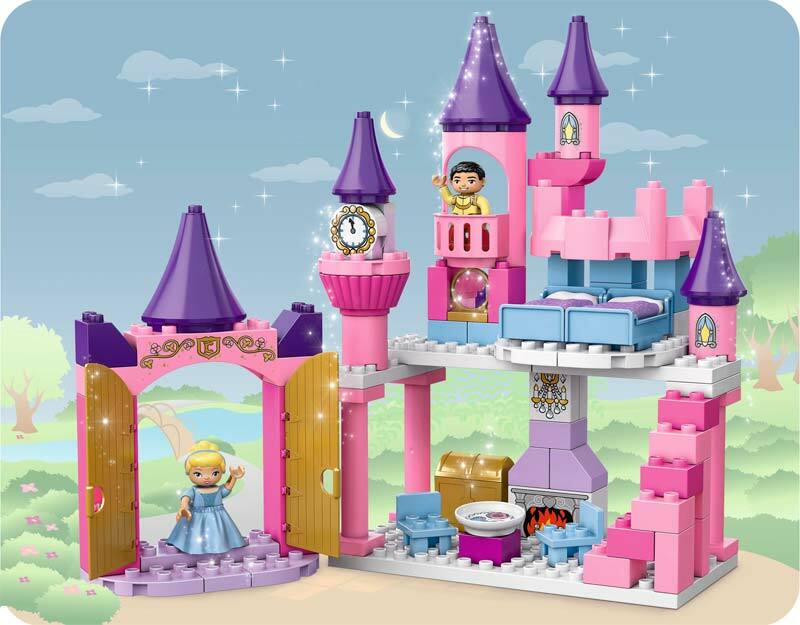 This pink Disney Princess castle features two levels for Prince Charming and Cinderella to eat, sleep, prep, and play in. Cinderella will be able to waltz outside through large double doors, while a pink spiral staircase leads between the bottom and upper floors. The top of the castle even has a lookout tower. 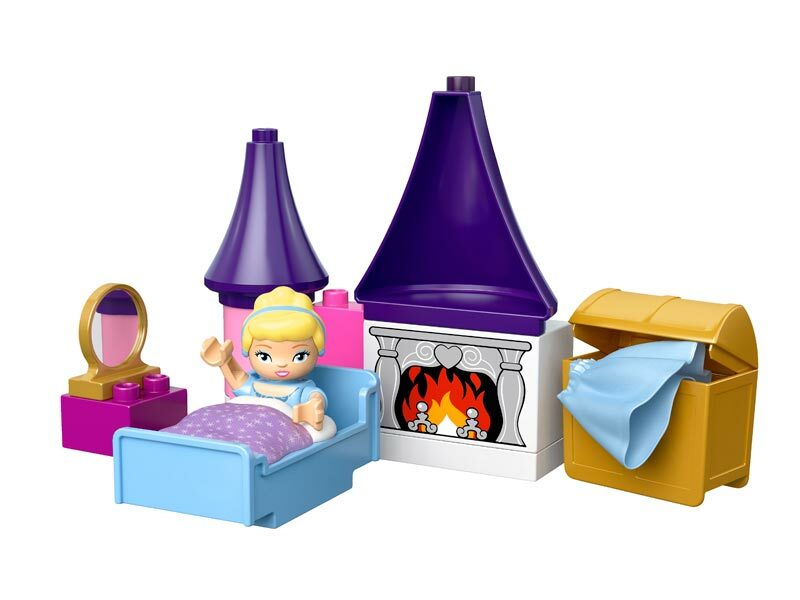 With a fireplace, two chairs, table with delicacies printed on it, and a treasure chest, the bottom floor of the castle provides plenty of room for young girls to play with the included figures. On the top floor, two beds give Cinderella and Prince Charming a cozy place to sleep--the beds even come with star-studded purple comforters! The castle even contains a reflective mirror piece, to help Cinderella get ready for the ball. Children will enjoy helping Cinderella get ready for the ball, with a round, reflective mirror and cloth skirt. 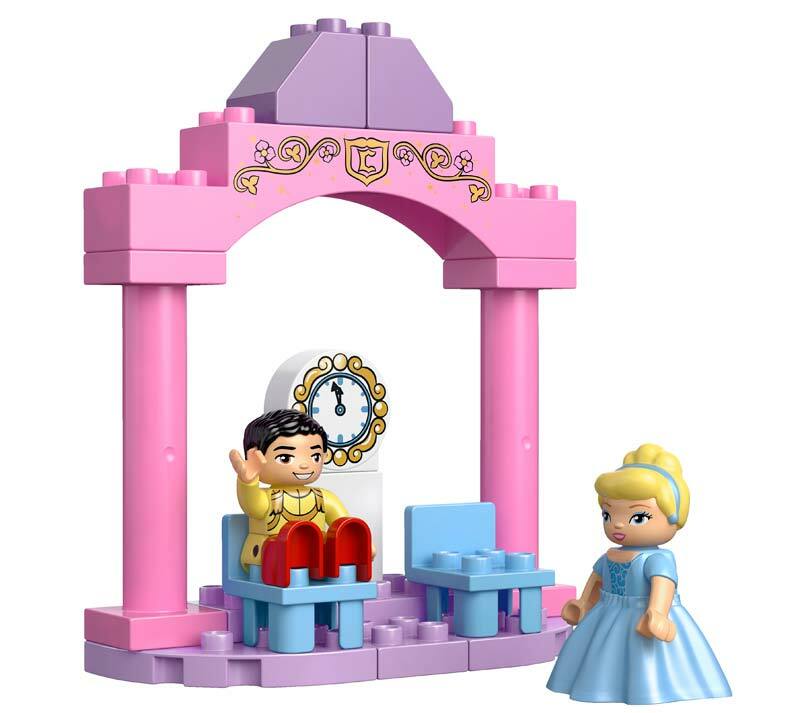 Although Cinderella comes as a typical Duplo figure with two legs, she can put on her cloth skirt and transform into the beautiful princess from the fairy tale. 77 Duplo castle pieces, Cinderella, skirt, two doll-size blankets, and instructions.